Posted June 10th, 2011 by David Firth & filed under App Economy, Business Analytics, Business Intelligence, E-Business, IT Infrastructure, IT Projects, IT Strategy, Mobile Computing, Wireless. Discussion: African economies are known for commodities like oil and gas, but a tech revolution is gathering speed and helping to change lives across the continent. From fighting fake medicines to developing cutting edge telescopes, a new generation of innovators is putting Africa on the technology world map. 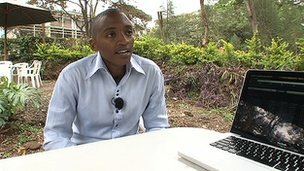 Why are mobile devices playing a much bigger role than the PC in Africa’s technology revolution?